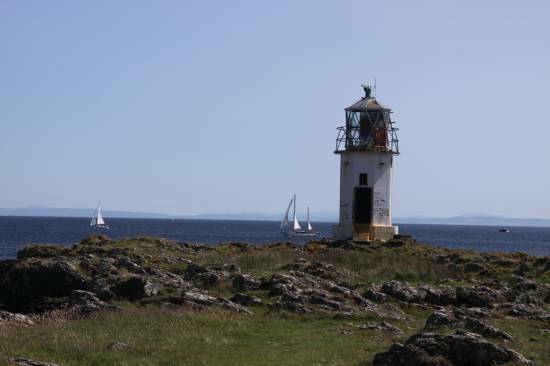 Bute is a peaceful and attractive island on the Firth of Clyde. It is approximately 15 miles long by 5 miles wide and has a population of just over 7000. Rothesay is the principal town with a population of 6500. Geographically, Bute is divided in two by the Highland Boundary Fault. North of the fault the island is hilly and mainly rough grazing with extensive areas of forestry. The highest point is Windy Hill at 913ft. This area is sparsely populated and is separated from the mainland by the Kyles of Bute which is a popular sailing area. To the south of the fault the terrain is smoother; dairy and arable farms abound. In the far south, around Glen Callum is the island’s most rugged terrain. Loch Fad is Bute’s largest body of freshwater and runs along the fault line. 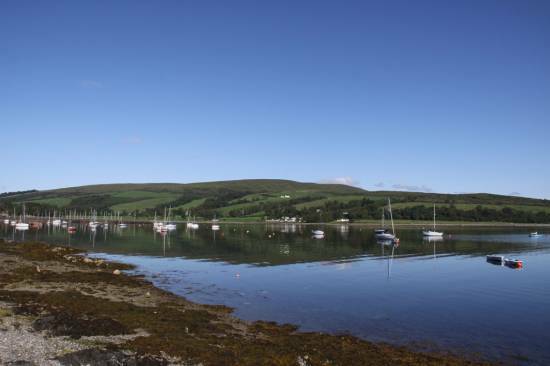 The western side of Bute is known for its sandy beaches, many of which enjoy fine views over the Sound of Bute towards Arran and Inchmarnock. 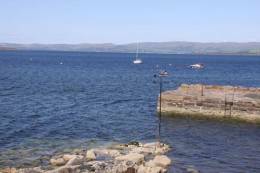 Bute has been populated since the Mesolithic period. There was a period of Viking settlement after which the Scots took control of the area. Rothesay Castle was built by Walter, 3rd High Steward (1204–41) as a bulwark against the Norwegians. The kings of Norway twice besieged and took it, in 1230 and 1263. Following this period, Rothesay became a Stewart stronghold. In the 1800s Bute’s importance increased. The main industries were farming, fishing & textiles. From 1850 Bute – and Rothesay in particular – became a popular holiday resort for those in Glasgow and the surrounding area. Tourism resulted in Bute’s heyday from around 1900 to 1945. Now, the main industries are tourism and farming. 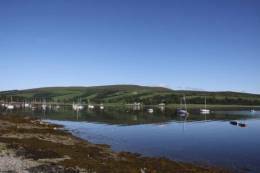 The peaceful village of Port Bannatyne was originally a fishing village. In the early 1800s it was self sufficient. In the 1850s there were over 235 herring skiffs based there. However, the future of the village lay in tourism. The steamer pier (opposite Ardyne House) was built in 1857. It was declared open with the unforgettable toast “may it answer the ends of its erection”. 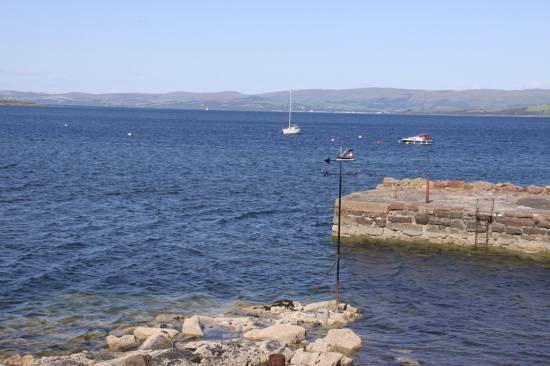 Port Bannatyne then became a popular holiday location and many houses were built to accommodate Glaswegians who came “doon the waater” for their annual holidays. Perhaps the village’s most significant contribution was during the Second World War when it became the centre of Britain’s submarine capability. Much of Britain’s submarine training took place from Port Bannatyne and in the neighbouring Kyles of Bute and Loch Striven. The crews of the X Craft midget submarines – which successfully damaged the German battleship Tirpitz in 1943 – were trained here and there is a memorial to them in the village. Today “The Port” is still a popular location for people seeking a peaceful seaside holiday.